As a technical trainer, I spend hours on my feet teaching during a class. That strain, along with an old ankle injury and my legs are usually sore at the end of the day. I was very interested in trying out the Futuro 3M Trouser Socks when given the opportunity to review them. 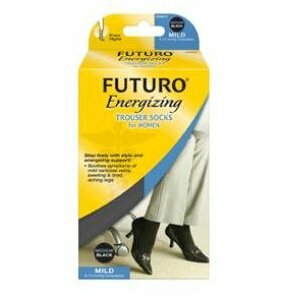 The Futuro 3M Trouser socks were light and silky. When I put them on, I could feel the light compression of the socks, and it was comfortable. I was afraid that it might feel too tight, but they didn't. I wore the socks on the 2nd day in a row of training and definitely felt that my legs weren't as sore or fatigued as usual. The socks pushed just enough against my legs to maintain a constant pressure, but never to the point of discomfort. They have all the details on their website about why the compression is good, as well as other products that have different levels of compression. Personally, I am happy with the trouser socks and plan to continue wearing them. Their site also includes a product finder so you can find them for yourself. They definitely made my legs feel better, and that's good enough for me! I've done this for the last 3 years (2007, 2008, 2009) -- so I figured I may as well do it this year! If you decided to play along on your blog, leave a comment so I can read your 2010 recap. Traveled to Vancouver, B.C. on business. I'm sure there are more things, but that sticks out right now. As I mentioned in an earlier post, I did keep my big New Year's resolution, but didn't succeed in keeping all of them. And, I will make more for 2011 -- both on the blog and personally. Nope. No new babies close to us in 2010. Nobody close to me died in 2010. August 11 -- the day the boys started school and I had to admit that we truly were not homeschooling this year. Gaining 2 new clients and learning a proprietary software which gives me the opportunity to travel. Bo actually bought it for me, but my HP laptop has made teaching so much easier. I was using an old PC laptop to prepare for classes and it was a struggle. I love my MAC, but everything I teach is PC-based so it's necessary. My boys. They were nervous and scared about starting traditional school, but they stepped up to the challenge and have excelled. I'm very proud of them. Our trip to the Grand Canyon, out trip to Camp Verde, our trips to Flagstaff, our trip to Disneyland, my business trips to various cities. Quietly, at home, with my husband, kids & my sister. I'm still a reality-TV junkie. It's ridiculous, but it's mindless. I really enjoyed the new BBC Sherlock Holmes series. I Am Hutterite I don't know if it was the best book I read, but it's the one that first came to mind when I read this question. It's a true story of a woman who was raised Hutterite and whose family left the colony when she was 10. Very well-written and extremely interesting. This is silly, but there is an Elvis Christmas CD that I bought this year where his voice/music was mixed with contemporary artists. I thoroughly enjoyed it this season. We went to many, many kid movies this year. I really enjoyed Oceans . I flew across the country on my 43rd birthday with my daughter and sister to visit my parents. My sweet, loving husband and exuberant children. My sister. Mark Wahlberg. He's my celebrity boyfriend. Many friends. It's been a year of change and working more after years of not working means that we have to figure out a whole new way of hanging out. We haven't figured it out yet. Colin's 4th grade teacher. I love how she calls me regularly just to tell me the silly things he does and I love how she truly gets a kick out of my son. She has pushed him in new directions and helped him shape the direction he's headed. I'm grateful for her influence. Lydia makes up lyrics to absolutely everything that occurs in her life, so the sound of Lydia singing would sum up my year with song lyrics. When the Progresso Soup commericals with soup can phones first aired, I had to explain to my kids what they were. I don't think I ever actually played with one as a kid, but I knew what they were! It was funny when we received a box recently from Progresso that included our very own Progresso Soup Can Phone! The kids had a riot playing with it and couldn't get over the idea of phones having cords. Progresso Soups has some wonderful soups, that are easy to prepare and nutritious! You can visit www.progressosoup.com to find out about all their varieties, as well as recipes to try. My boys took the idea of Progresso Soup and the soup can phone and created a commercial for your enjoyment. They even drew out a story board and wrote the script before they had me video their commercial. They took turns with each part, so I decided to share both versions with you. I think they're hilarious. 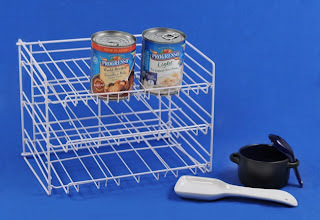 Progresso has offered a fun gift package for one of my readers! 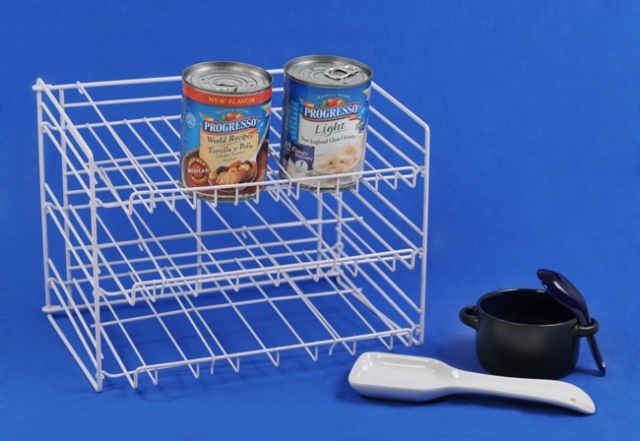 If your entry is chosen, you will receive 2 VIP coupons for free Progresso Soups, a soup can rack, a soup bowl, soup spoon and spoon rest. I'm sorry that you won't receive a soup can phone. Mandatory Question: What's your favorite soup? This giveaway will end on January 7, 2011. Good Luck!! Bob Books was one of the tools I used to help my boys learn to read. I remember thinking they were ridiculously simple, but then realizing that was what made them amazing. Both boys quickly mastered the small words and short sentences, which gave them almost-instant satisfaction and a confidence boost. I fully expected to make them available for Lydia, and already have a few sets on the shelves ready for her. When I was contacted about the Reading Magic app they recently released, I was excited to try it out! There is an app available for the iPod Touch and iPhone, as well as one for the iPad. We tried both out, and the video shows Lydia using our iPad and the Reading Magic app. As you can see, she enjoys it! I was surprised at how quickly she picked it up. I really liked the fact that you can change the settings so that when they are matching the letters to the word, you can choose from actual letters, or the phonic sounds. Since she is so comfortable with her letters, we set it for phonics. She thinks the change from black and white to color is interesting, and laughs at how the characters jiggle on the screen. I like that they kept the same simple line drawings and backgrounds -- but added the color as tasks are completed in the app. This gets a 5 star, thumbs-up score! I'm really excited that I can share a code with one of my readers so they can try it out. Let me know if you want to try the app on the iPad or the iPhone or iPod Touch . They are 2 different downloads, but the app works almost exactly the same on each platform. Mandatory Question: On which device will you install Reading Magic? I prefer simple routines, but I never skip using a moisturizer. When given the opportunity to test Skin MD Natural, I was eager to give it a try. I am fairly picky about the moisturizers I use -- I don't like them to be thick, greasy or smelly. So, I was thrilled when I took a sniff and the scent was very light and pleasant. I squeezed a bit onto my palm and was very happy with how light it felt. It soaked in quickly and it a little went a long way. I have been using it regularly on my face, as well as my hands and legs for 3 weeks now and am very happy with the results. A little bit goes a long way! When I smooth it on my face in the morning, it soaks in quickly and leaves a smooth surface for my foundation to glide over. I wash my hands quite often, and usually find myself with extremely dry hands unless I use moisturizer after each hand washing. 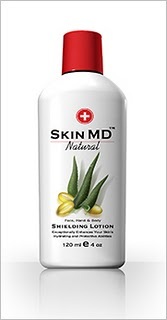 With Skin MD Natural, I find that I can use it just a couple times a day and my hands stay soft and smooth. You can find it at local stores, as well as online at Amazon . The 4 oz bottle runs for around $18, but since it lasts so long I think that it's a good value. For a couple extra dollars, it also comes in a version that includes a SPF 15 , which is what I recently ordered because in Arizona I like to always wear sun protection on my face. I will continue to use the regular bottle for my hands and legs. The lotion is made from 93% natural or plant-based ingredients. Their website lists each ingredient and explains what each does for the lotion. The lotion is made in the USA in a 100% solar-powered plant. I love when I find out that a product is not only made in the USA, but is also made using solar energy. Mandatory Question: When do you moisturize? morning, evening, all day long? This giveaway will end on January 10, 2011. Good Luck!! On January 1, I listed a few resolutions I set for 2010. I guess it stinks sometimes to put them in writing, stuck on the Internet, so I could look back and see how I did. I only listed 3, but managed to fulfill only 1. There was a ton of travel in our family in 2010. We started the year with a trip to the Grand Canyon, and made trips as a family to Tucson, Camp Verde, Flagstaff twice, Vegas, a local resort, Milwaukee (the boys & Bo, and then later me & Lydia) and California. There was even more travel as I traveled for 2 different clients (Winslow, New Mexico, Iowa and British Columbia) and even Bo traveled for work (Minnesota). I don't think a month went by without somebody traveling, and many months had multiple trips. So, our desire for travel, and specifically visiting more of Arizona was definitely met. My plan to use reusable bags more often should have been an easier resolution to keep than traveling, but I wasn't very good about it. I have a nice collection, but I'm still not in the habit of remembering to use them regularly. And, I still can't crochet more than a chain. I think too many things came up and a quiet pursuit like crocheting just didn't fit into our life in 2010. One resolution that I didn't share last year was one that Bo made. He said he wanted to visit Disney again this year. I didn't blog about most of the challenges we've faced in the last couple years, but I will share that we've had our fair share and I was extremely skeptical when he made that declaration back in January. And, then, as things happened through the year, it seemed less and less probable. But, we kept it as a goal, and slowly but surely managed to put the trip together. So, even though my results were 1 out of 3 (2 out of 4 if we count in Bo's resolution), I still think there is something to be said for declaring a goal and working towards it. To be honest, the most important resolution for me was to travel more -- and I met that with great success. Maybe I should make only one resolution a year, and focus even harder on that one . . . who knows where else we might have gone if I had done that this year? We had an awesome time at Disneyland last month, so I'm excited that we have the opportunity to attend Disney on Ice on January 19th and see the characters again! The kids had so much fun during our trip, and the opportunities they had to visit with the characters was very special. The kids are going to be thrilled to see this show! Disney on Ice is bringing the show Let's Celebrate to the US Airways Center in Phoenix from January 19 - 23, 2011. From the show's promotional information -- It’s one colossal party on ice, with all your favorite Disney friends! Join Mickey Mouse and Minnie Mouse as they celebrate a Very Merry Unbirthday Party with Alice and the Mad Hatter; a Royal Valentine’s Day Ball with the Disney Princesses, including Cinderella, Ariel and Tiana; a Hawaiian luau with Lilo & Stitch; a winter wonderland with Woody and Buzz Lightyear from Disney/Pixar’s Toy Story; a Halloween haunt with the Disney Villains and more in a magical medley of holidays, celebrations and festivals from around the globe. Come join the party when this spectacular ice show visits your hometown! AND, the generous folks at Feld Entertainment have given me FOUR tickets for the Wednesday night opening show to give to one of my readers! These Disney shows are always a fantastic experience and we have thoroughly enjoyed each one we've attended. I love that I have the chance to share the experience with one of my local readers! To enter the giveaway, click HERE to jump to the giveaway form. Before you click, take note of the giveaway name and mandatory question so you can fill in the blanks on the form. Also, be sure that you're available the evening of January 19, 2011 so you can attend the show! Mandatory Question: What character would you like to celebrate your birthday with? This giveaway will end on January 12, 2011. Good Luck!! This may be my favorite picture of 2010. I'm grateful for the woman walking by that offered to snap it for us, as it's rare to get a picture of all of us when we're out. We were at Huntington Beach, CA, on the last day of our recent vacation. We're all a bit wind-blown and chilled, but we're very happy to be together. The boys invited a few friends over a couple weeks ago and had a blast playing a new computer game, Roman Town. The game sets up the kids as archeologists and gives them the chance to participate in a dig and learn about artifacts. The boys (ages 8 - 13) all had a good time playing the game and discovering new things. The game was easy to navigate and the kids didn't need any prompting and very little help playing it. They ran into some frustrations when asked to fill in a report, but the older kids stepped in and got the report completed so they could go on and uncover more artifacts. There were plenty of opportunities to learn more about the things they discovered and they had fun playing for quite a while! Mommy Parties, who sponsored the party along with Roman Town's creators (dig-itgames.com), sent along a fun package including not only copies of the game, but also water bottles and hats for the kids. The kids got a kick out of the hats, which they don't have much opportunity to wear in Arizona, and all the water bottles got used that day. The boys had fun playing in the dirt in our backyard after playing on the computer and did a little discovery of their own. They had a fun afternoon, and played hard. My boys have played the game a few times since the party. I wish there was a download option as well as a CD option because my boys' netbooks don't have CD drives and I would've liked to load the game on their machines. I love that Roman Town was educational as well as fun for the kids! Definitely a game to consider for your kids. We started the Advent season in Disneyland (which I still want to write more about -- hopefully I'll get to it before the end of the year), and it has seemed to fly by this year. We did go to the Nutcracker Ballet last weekend, and while the boys were a bit bored, Lydia absolutely loved the fight scene and thought the rest of it was pretty neat, too. She did wonder why she wasn't up there dancing as well. We put our tree up last weekend, and some outdoor lights. We put a few ornaments on the tree, and I had planned to do more during the week. Then, a stomach bug hit Lydia, and then Nate, and then Bo and before I knew it the week was over and I had missed a day of work to boot! We finally finished decorating the tree today and it is beautiful. I remember back to the first Christmas Bo & I celebrated together and we started everything from scratch. I decorated the tree in all gold and white and I remember how simple and beautiful it was. As time went by, I bought ornaments as remembrances of places we visited and then the kids came along and we bought ornaments for them as well. Our tree is no longer pristine gold & white, but it is covered and dripping with memories. Each year that we have been a family (which I count from our first Christmas in 1995) we have purchased a personalized ornament. This ornament is our 2010 ornament -- purchased from the same mall kiosk where we've purchased them for the last 9 years. I was happy to see they had some new ornaments this year, as we had pretty much gone through most of the styles! Our tree also has some new ornaments we picked up near the beach in CA, and an ornament from Disneyland. It has ornaments from the Phoenix Zoo, from the Grand Canyon Railway, from Biltmore Estate. It has a mirrored ball that I bought on vacation with my sister from the Liberace Museum (which is now closed.) It has ornaments commemorating my pregnancy with Lydia, the births of each of our children, and representing things important to our kids each year. OH! And then there are the photo ornaments! This year, I found ornaments that look like composition books and they say "School Times 2010". I put the boys' school pictures in those and felt they were appropriate for their first year at regular school. I tried to have a picture for each year, but I see I missed a few -- so maybe this year I'll have some old pictures printed and fill in the blank years. It's sweet to see my babies' faces smiling out from our tree. I still have some of those original gold & white ornaments, but I only put a couple on the tree this year. Enough to help me remember those early years, but I like the patchwork our tree has become! sWhen a huge box landed on our doorstep a while ago, my boys were eager to see what was inside. When they saw the Toy Story 3 Action Link toys, they were thrilled and couldn't wait to get their hands on the toys. They were not so thrilled when I told them they had to wait until we could schedule a party. So, you can imagine their excitement when the party date finally arrived. We had a few boys over to set up and test out these new toys and they received resounding positive reviews! The kids had a great time setting up the different sets and loved how they could all fit together, or be played with separately. They were able to play with a number of the sets, as well as share a couple of the sets with friends and also Toy Story 3 buddy packs of the action figures. These toys were a big hit, and got a thumbs up from everyone who played with them! Disclosure: I received a party pack of toys and party ideas from Mommy Parties. No additional compensation was provided, but my kids were super-thrilled to be included in another awesome party! The cards arrived yesterday and were absolutely gorgeous. The picture is printed on heavy, thick, premium cardstock/linen-like paper and the picture looks awesome. They are probably the priciest photo cards I have ever purchased ($64.00 for 25 cards without any extras) but they are also the most luxurious photo cards I have ever purchased. They are works of art. There are hundreds of designs to choose from, and I liked the simple, yet unique, corner graphic that I chose for our cards. They sent me a proof within 24 hours of creation, to give me the chance to verify that everything looked just as I expected. When the cards arrived yesterday, they were wrapped in bubble wrap inside a solid box. The cards were wrapped with a ribbon and topped with a hand-written note from the person who wrapped them. I felt like I was opening a present. 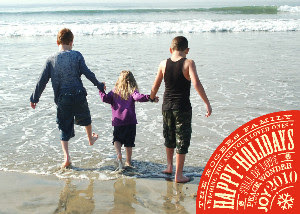 If you haven't yet created your holiday cards, check out the amazing designs at minted.com. They currently have a free shipping offer available for orders greater than $75.00 and you have until December 17th to order and receive by Christmas Eve. They also have great designs for cards appropriate for New Years and Thank You notes. I had a great experience with this website. Everything was top-notch! 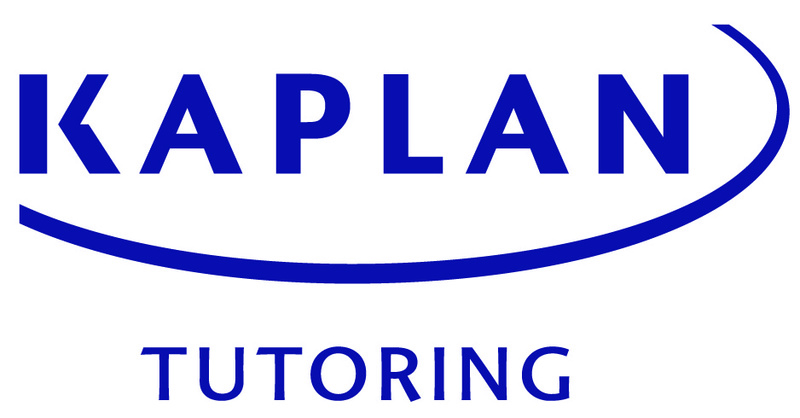 When the boys first started using Kaplan Online Tutoring, we knew that Colin was a little behind in math and Nate may have been a bit behind in reading according to their grade levels. The assessments that the boys took provided me with similar information so I was eager to see the results after the boys worked with the program. Colin got through the assessments and worked mostly on math over the last couple months. I think a combination of the extra practice from Kaplan and some dedicated assistance from a teacher's aide has brought him up to grade level in math. Before starting he had a goal of going beyond his current grade level, but he left that goal behind. Nate finally got through the assessments (he was stuck for a bit on the language arts one) and had a hard time sitting down and working through any of the activities. He started with good intentions and worked on the assignments, but after a few weeks he was partly frustrated, and partly not interested in devoting any more time in his day to schoolwork. Even though the program is designed to look fun with animations, Nate lost interest. He is a child who needs to spend time outdoors every day, and a couple short recesses wasn't enough for him. He didn't want to spend any more time learning, or sitting in front of a computer, so we struggled trying to get him to do much with Kaplan after the initial couple weeks. Last year, when we were still homeschooling, the boys used an online curriculum. Because of that experience, they were pretty familiar with how to work with the program and get the assignments completed. Unfortunately, the assignments bored them a bit after the first couple weeks, and it wasn't something that they looked forward to completing. I think the assessments the program provides are excellent. They were thorough enough to clearly determine the academic strengths and weaknesses of each child. I also appreciated the reports that I could review to see what specific items they were working on, and what they had mastered since their last visit. I wish I could see a report that showed the amount of time they worked on various assignments. When I asked them last week for feedback, Nate said he did not care for the program at all because it was just too much and he had to read too much. Colin said he was frustrated with the amount of practice that he had to go through, but he was happy to see his math grade rise as he worked through the program, and appreciated the opportunity for extra help. This year has been an adjustment as we moved from homeschooling to public school. It has shifted and cut our free time dramatically and that has been harder than I anticipated (even though I knew it was going to happen.) I think, for our family, adding on another academic piece may have been too much so soon after the change. Because of that, I wouldn't want other parents to make a choice based on the fact that my kids weren't completely enthusiastic about Kaplan Online Tutoring. If your child needs extra academic help, I think the online program is definitely something to consider. It is a time commitment, like anything else that is important! One definite advantage to the online program, though, is that you can fit in the time whenever it comes available -- whether that is out somewhere where there is wi-fi, or an early Saturday afternoon at home. Personalized Christmas cards at Shutterfly. I love Shutterfly! I made this personalized card for Lydia's day care teachers in about 2 minutes. I know the quality will be great, and I know her teachers will love the card with her sweet face!! It is a wonderful place that has a variety of exhibits, including a touch tank. In the touch tank, you can touch sea stars, sea urchins, sea cucumbers and anemones. You can also see, (but not touch!) a couple eels and some bamboo sharks. There is a research component to this aquarium, and you are free to visit their research area which includes tanks where they breed sea animals -- including jellyfish (did you know jellyfish are plankton?) and sea horses. They also have an area set up with microscopes and a variety of things to view. This picture is of Nate checking out a sea urchin under the microscope. It has been fun watching the boys grow up visiting this aquarium, and it is interesting to see the different things they are drawn to during each visit as they mature. The area with microscopes was especially interesting to them this trip, as well as the exhibits about whales. If you are ever in the area, I highly recommend a visit to Cabrillo Marine Aquarium. I know you won't be disappointed. One of the charities where we regularly contribute is our local food bank. When Blog Spark asked if I wanted to help spread the word about Feeding America, I was happy to jump on board. According to Feeding America, they help 5.7 million people each week receive emergency food assistance. When you purchase specially marked packages of Hamburger Helper, they will donate 17 cents per code. They have already donated half a million dollars, and are committed to donating another $100,000 through this program. You can visit Show Your Helping Hand to either make a direct donation, or enter your codes. To help spread the word, Blog Spark sent me a package including a foam helping hand, a CD of Tim McGraw's music, a box of Hamburger Helper and made a $10 donation in my name to Feeding America. They want to send a package to one of my readers as well, and make another $10 donation in your name! Visit the link on my sidebar to review my giveaway rules. I will choose a winner on December 15, 2010. Please consider making a donation in any case! 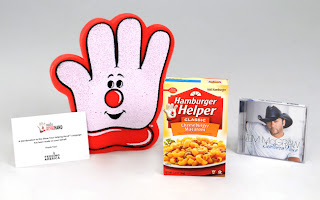 *Disclosure: BlogSpark and Hamburger Helper sent me a package and will send one to the reader who wins the giveaway. No further compensation was provided. I recently received a box of Episencials, a line of skin care products geared towards children, but perfect for everyone aged 0 - 150! Lydia immediately noticed the Eric Carle design on the bottle of playful foaming wash and wanted to read The Very Hungry Caterpillar right away. Everything is made in the USA (and you know how much I like to see that! ), their products are manufactured with solar power AND the recycled bottles are both phthalate and BpA-free. Episencial and Mommy Parties sent me a box of goodies to share with my friends, which is just what I did! I was able to share with some moms at home, and others at work that couldn't come to my house for a get-together. Everybody got a bottle of the playful foaming wash and samples of more products. I shared the tube of the diaper cream to the mom with the youngest child still in diapers. In Arizona, we always battle dry skin. I really liked the silkiness of the better body butter , and how easily it soaked in. A step up from that is their soothing cream . That is formulated for eczema, itches and bothered skin -- and it has made a huge difference in the rash that Lydia often has on her chin and cheeks. It includes jojoba oil, neem, calendula and probiotics to help protect and heal the skin. Everyone was so busy chatting and playing, that I kinda forgot to take any pictures of the get-together. BUT, I did take a video of Lydia in the bath using the foaming wash, so you can see her reaction to it. You can find out all the information about Episencial at their website. They are also active on Facebook. In fact, check out their Facebook page for information about a preschool grant program they are currently sponsoring. I really like the Episencial products I tried. It is so hard to know what is really natural, or what is marketed as natural and sometimes it is confusing. Episencial has done a good job of explaining all their ingredients, and I feel confident that they are high-quality, natural products made with high quality ingredients. I'll be giving Episencial at the next baby shower I attend! We have been playing Tony Hawk: Shred for a week or so and have had a great time. We received a bundle with the game and controller for our Wii and I think it has become Nate's favorite Wii game! The focus of the game is to ride skateboards or snowboards in a variety of settings with a few different characters. The bundle came with a skateboard controller that lies on the floor. All the controls are handled on the skateboard by leaning your body left or right, or lifting the board up from the front or back. The kids quickly caught on to the controls, but I confess that my bum ankle means that I have a difficult time balancing on the board. Using the board controller definitely requires good balance! Nate (8yo) has started figuring out more tricks, and even Lydia (3yo) has gone through the training portion and plays the game (although she cheats a bit on how she uses the controller by standing off the board and using her foot to tip it up or down.) Colin (10yo) prefers the snowboarding game vs. skateboarding, but I think that's just a personal preference because his brother prefers skateboarding. We just started rating video games on a 5 star basis, and the boys both gave this one 5 stars. It would be a blast to find this game under the Christmas tree this year! I know we'll have tons of fun with it. Tony Hawk: Shred is available for Wii , XBox 360 , and PlayStation 3 . She announced, "I'm the Queen!! The one who says 'Off with his head!'" We left for a road trip on Sunday. We headed to California, where we're spending a few days at Disneyland and then our last couple days on the beach. It's a trip we've planned for almost a year, and a great one to be our last trip of 2010. The car we took on the trip is smaller than our minivan, and we weren't sure how the kids would do sharing a single backseat. To my delight, they did just fine sharing a small backseat for the 7+ hours we spent on the road. They kept busy playing with their electronics for part of the trip, looking out the window for part of the trip, and we all listened to an audiobook for a few hours. The only frustration was the delay caused by road construction -- nothing within our vehicle. I planned in advance, knowing we would have a refrigerator at the hotel, and brought 3 bags of snacks and food as well as drinks. The food I brought has given us the freedom of not freaking out over the cost of eating out, since we have only had to eat one meal out per day. It's not easy to eat inexpensively within Disney, but since I brought breakfast items, lunch items and snacks I've been able to keep the food costs low on this trip. Bringing food from home has also lessened any frustration from my picky eater refusing to eat restaurant fare. If necessary, he can order just a drink while we enjoy a meal, because I know there is peanut butter, crackers and apples waiting in our room for him to eat. On the other end, eating out just once per day allows my adventurous eater the freedom to try new foods because if he doesn't like them, there's peanut butter and crackers back in the room! The kids have settled into the routine of staying in a hotel with no problems. Lydia immediately came into the room and unpacked her small bag into one of the drawers. The boys knew they needed to make an ice run and scouted out the ice room as we headed to our room the first night. Everyone jockeyed for position in one of the 5 sleeping spots, but there were no arguments or complaints -- just simple discussion about who was a bed hog and who kicked off the covers. I started 2010 with a wish to travel more as a family, and we definitely spent a lot of time traveling this year (both as a family and Bo & I independently for work.) I am grateful that I'm raising 3 kids who are excellent travelers, and I can't wait to see where life takes them. In fact, I can't wait to see where 2011 may take us!